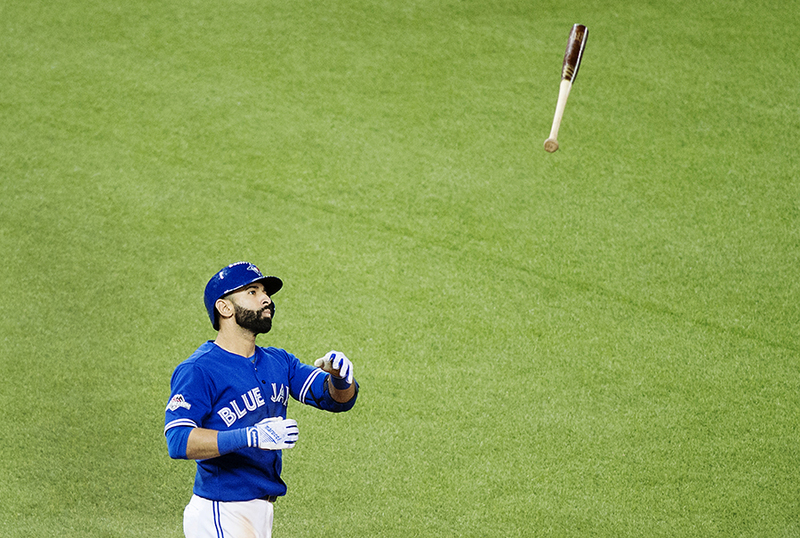 I love baseball and I finally got the opportunity to work a Blue Jays playoff run for The Canadian Press. 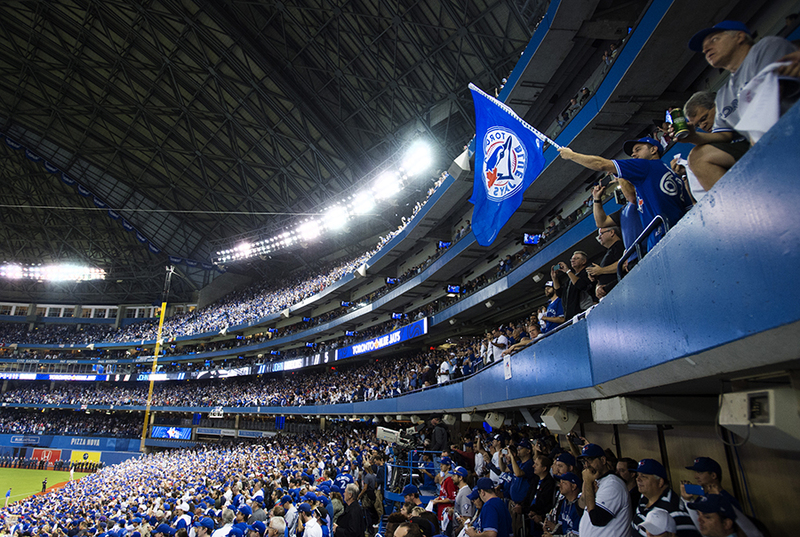 Fans cheer before the start of game one American League Division Series baseball action between the Toronto Blue Jays and Texas Rangers in Toronto. 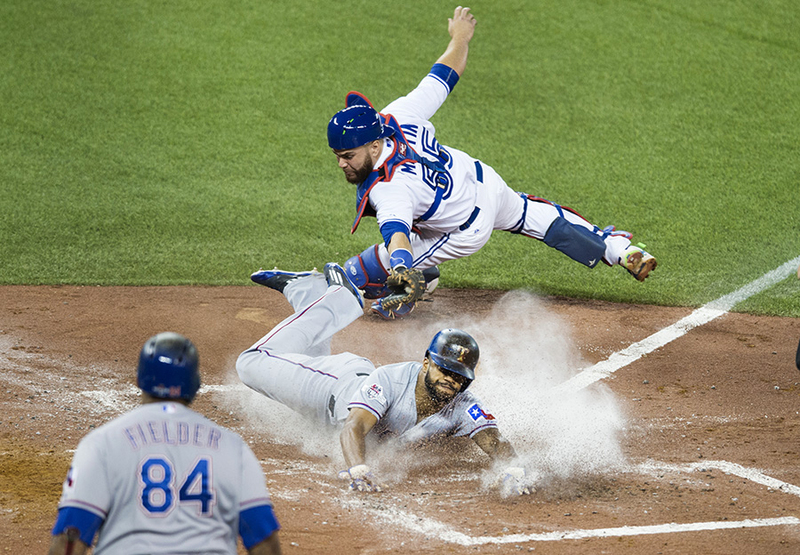 Texas Rangers’ Delino DeShields, centre, slides safely into home plate past Toronto Blue Jays catcher Russell Martin during third inning game one American League Division Series baseball action in Toronto. 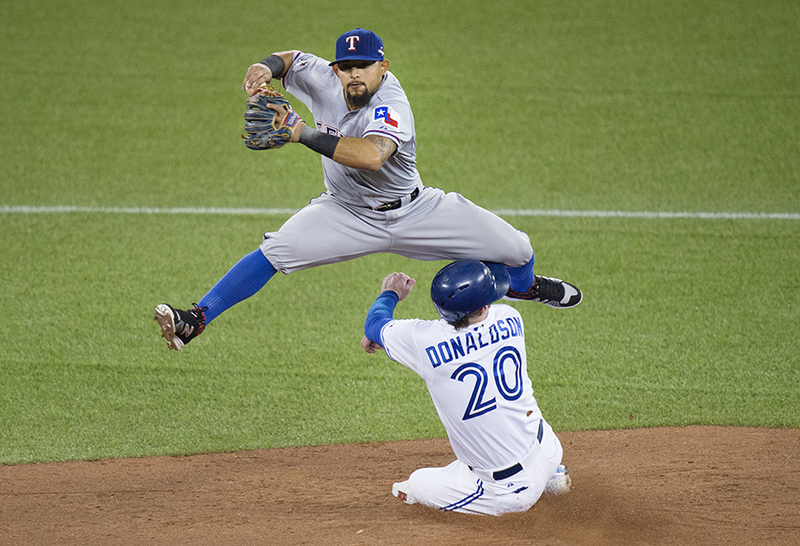 Toronto Blue Jays’ Josh Donaldson, right, is kneed in the head by Texas Rangers’ Rougned Odor while breaking up a double play during fourth inning game one American League Division Series baseball action in Toronto. 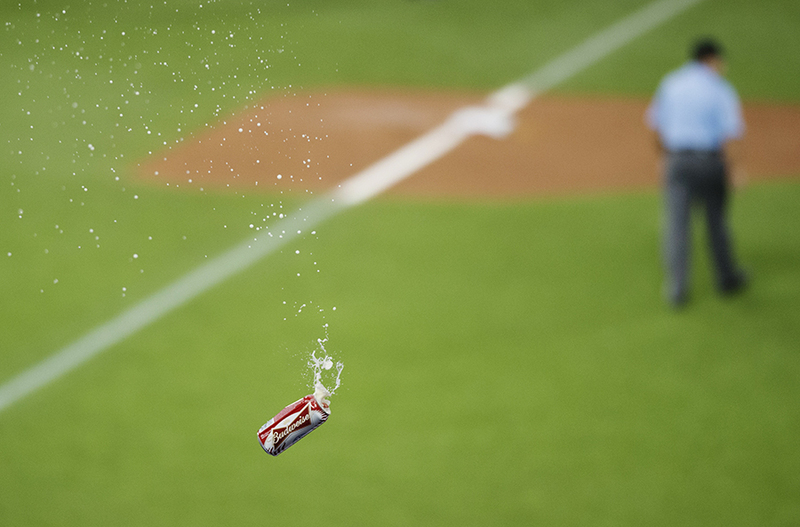 A beer is thrown onto the field toward the umpire crew during seventh inning game five American League Division Series baseball action between the Toronto Blue Jays and the Texas Rangers in Toronto. 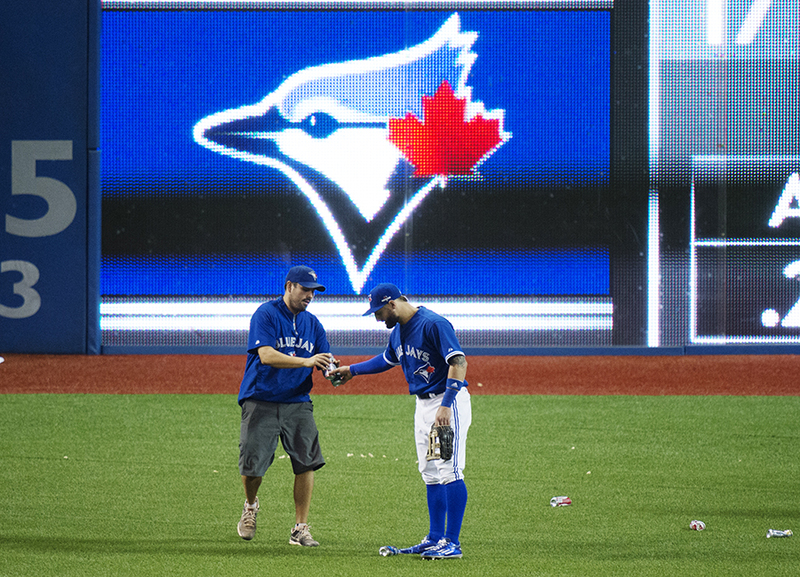 Toronto Blue Jays’ Kevin Pillar, right, hands beer cans to a member of the grounds crew during seventh inning game five American League Division Series baseball action against the Texas Rangers in Toronto. 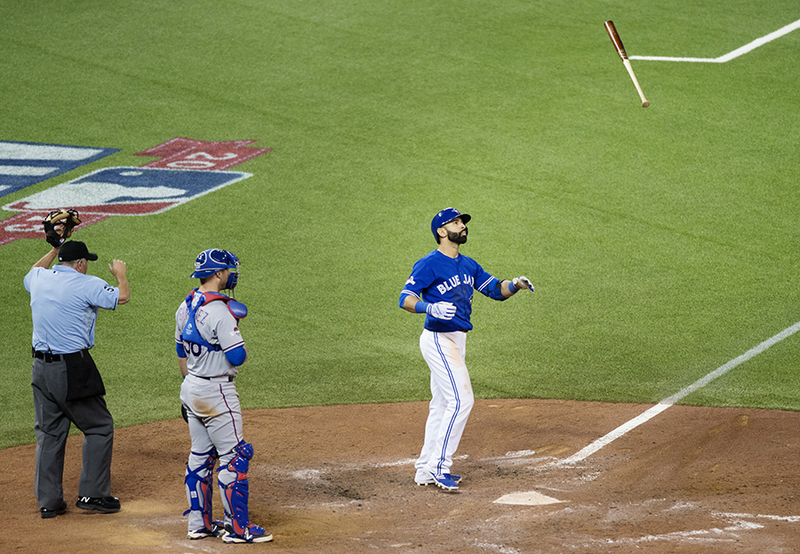 Toronto Blue Jays’ Jose Bautista, right, flips his bat in the air while celebrating a game-winning three-run home run in front of Texas Rangers catcher Chris Gimenez, centre, during seventh inning game five American League Division Series baseball action in Toronto. 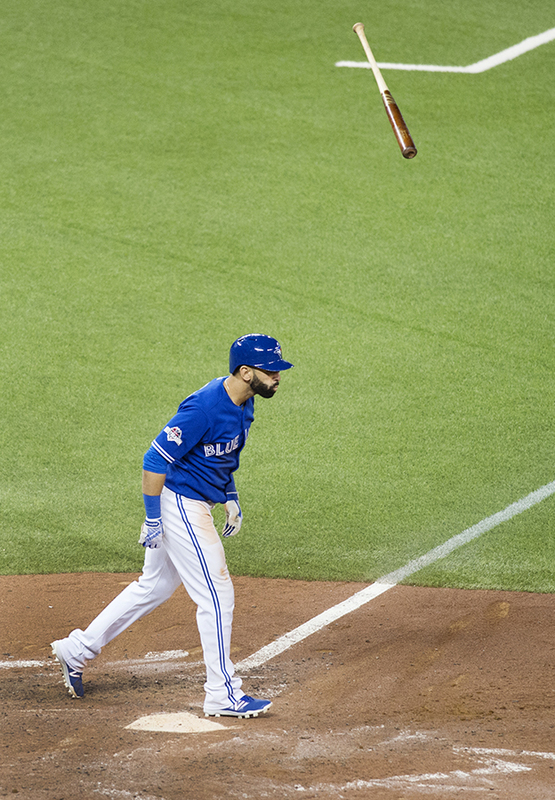 Toronto Blue Jays’ Jose Bautista, right, flips his bat in the air while celebrating a game-winning three-run home run in front of Texas Rangers catcher Chris Gimenez during seventh inning game five American League Division Series baseball action in Toronto. 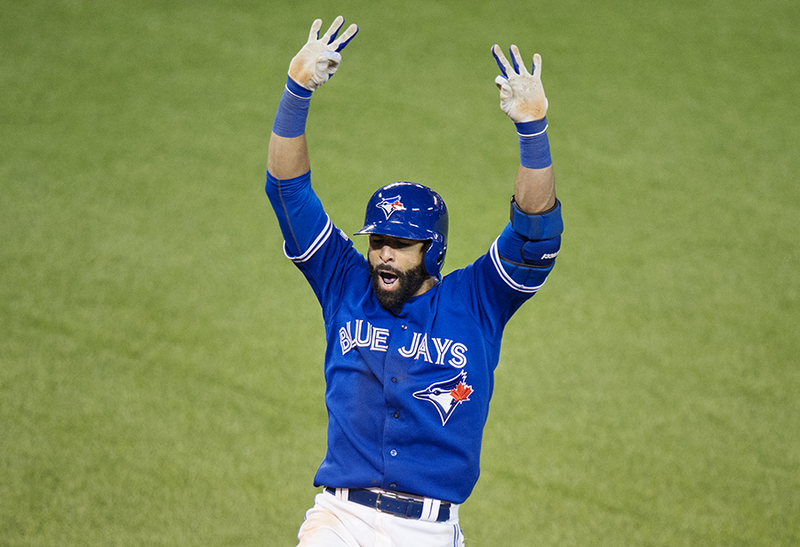 Toronto Blue Jays’ Jose Bautista celebrates a game-winning three-run home run during seventh inning game five American League Division Series baseball action against the Texas Rangers in Toronto. 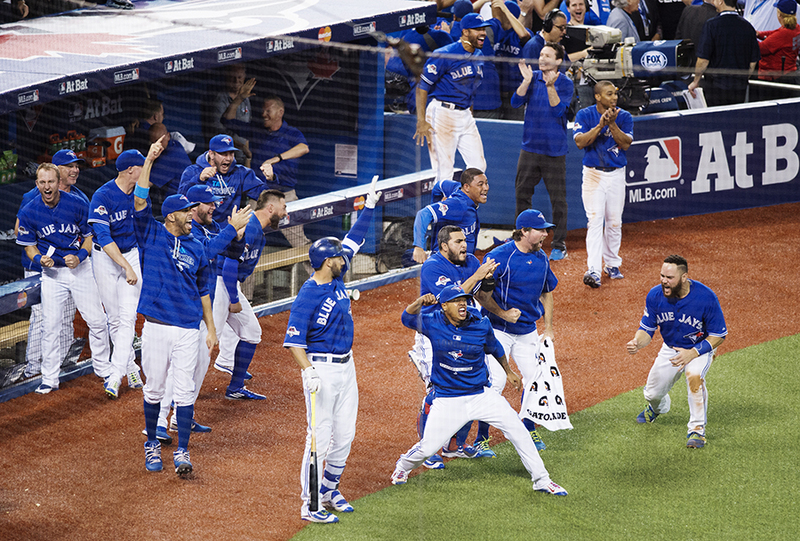 Members of the Toronto Blue Jays celebrate following a three-run home run by Jose Bautista during seventh inning game five American League Division Series baseball action against the Texas Rangers in Toronto. 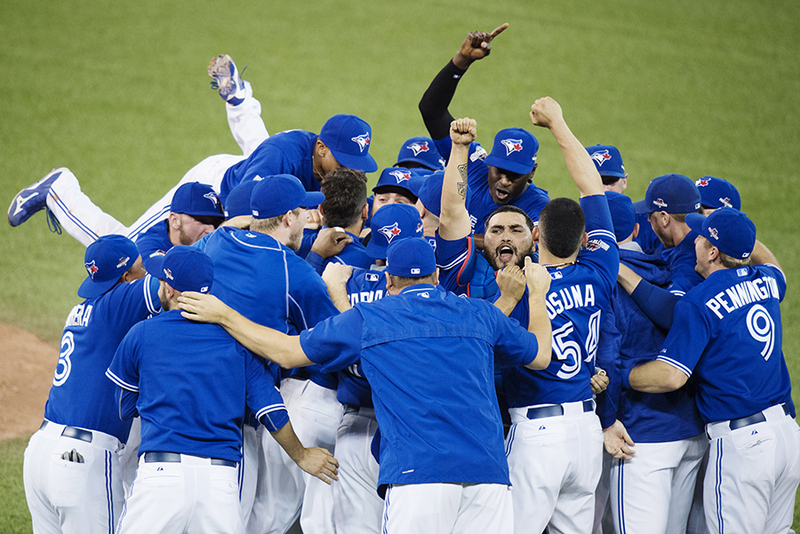 Members of the Toronto Blue Jays celebrate their series win over the Texas Rangers during game five American League Division Series baseball action in Toronto. 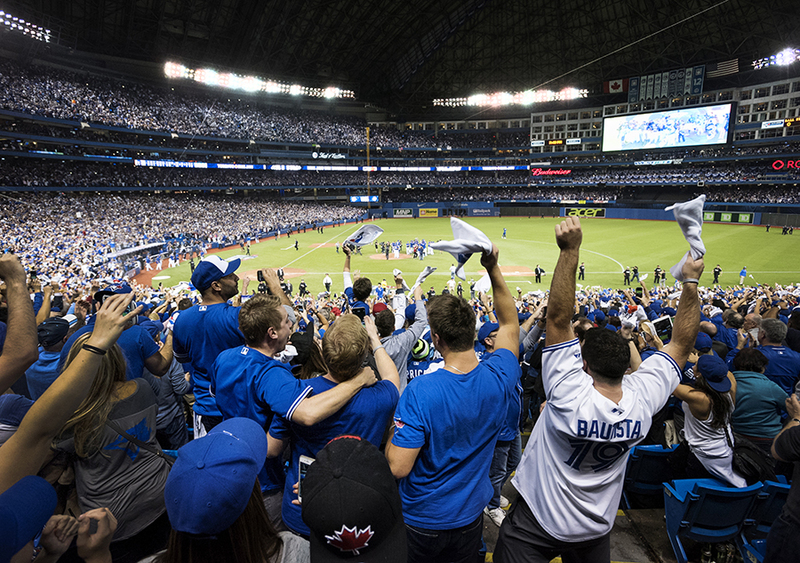 Fans celebrate following the Toronto Blue Jays’ series win over the Texas Rangers during game five American League Division Series baseball action in Toronto. 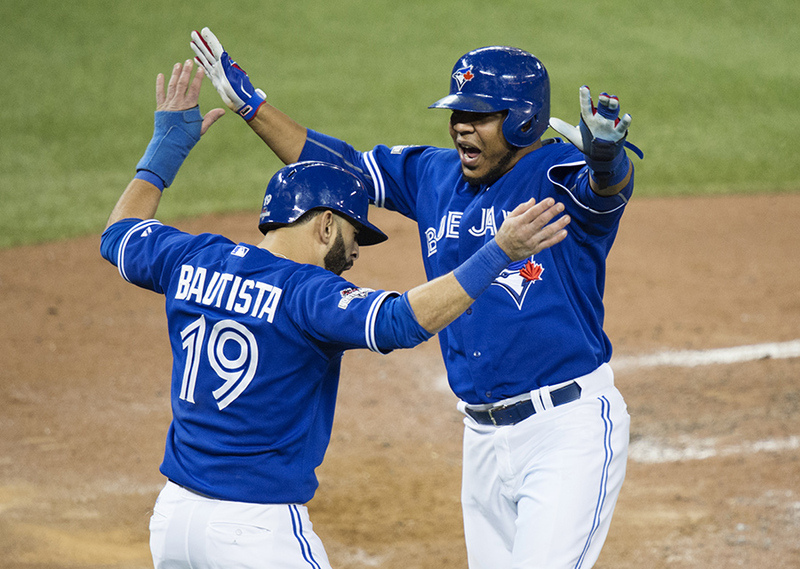 Toronto Blue Jays Jose Bautista, left, and Edwin Encarnacion celebrate scoring on a three-RBI double by Troy Tulowitzki during sixth inning game five American League Championship Series baseball action against the Kansas City Royals in Toronto. 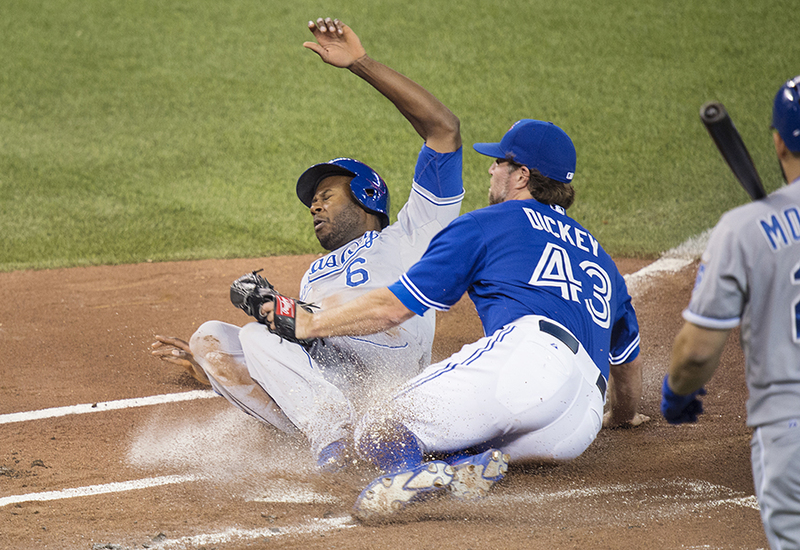 Kansas City Royals’ Lorenzo Cain, left, slides safely past the tag of Toronto Blue Jays starting pitcher R.A. Dickey to score on a passed ball during first inning game four American League Championship Series baseball action in Toronto. 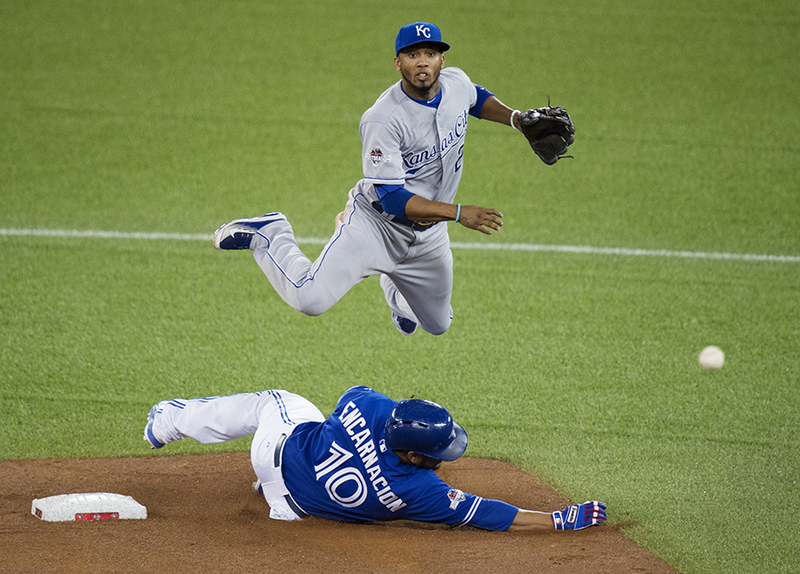 Kansas City Royals’ Alcides Escobar, top, leaps to turn a double play over Toronto Blue Jays’ Edwin Encarnacion during fourth inning game five American League Championship Series baseball action in Toronto.